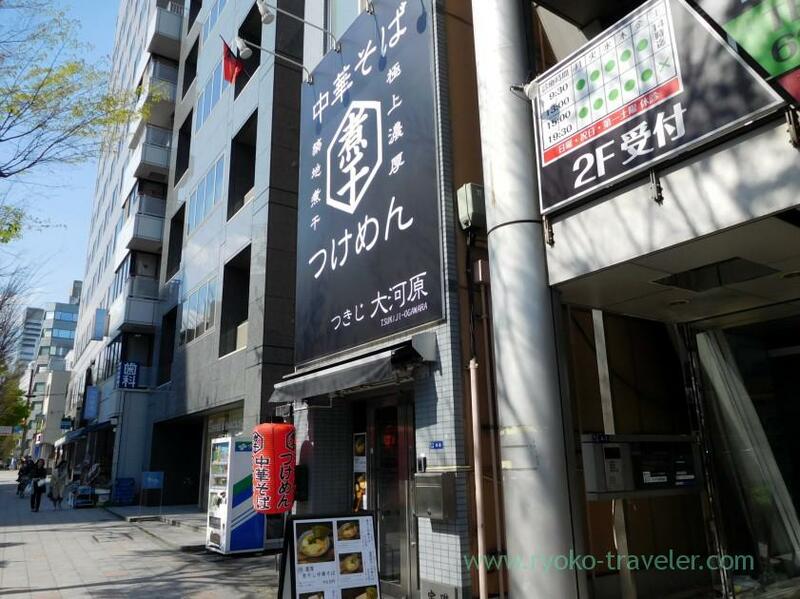 I had wanted to visit “Tsukiji Tori Shokudo” that was ramen shop along Harumi street for long time. But I found the shop was closed and new ramen shop is open instead of that. Their soup have dried sardine broth. The black signboard is cool. Well, here’s Tsukiji. But surprisingly there wasn’t sardine ramen shop, nevertheless there’re many stores selling dried sardine. They were open in March 2018. 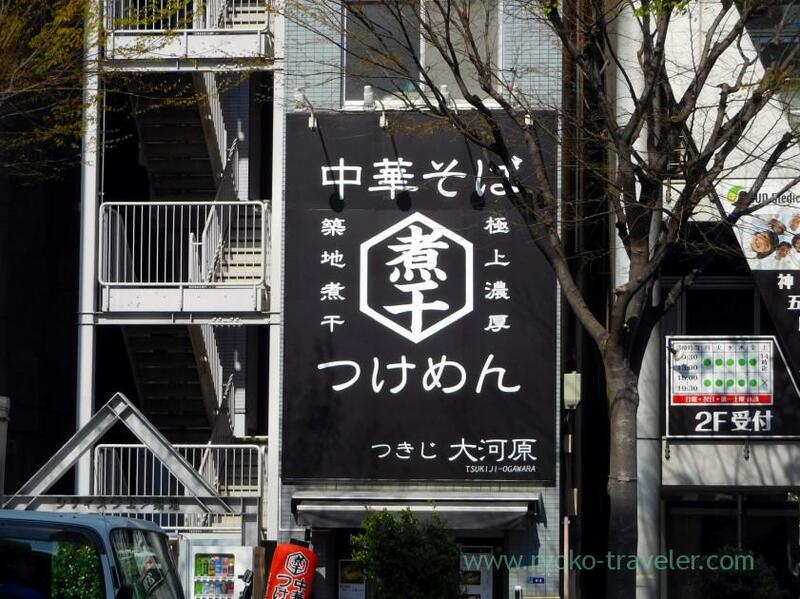 It stands along Harumi street and their signboard is outstanding. And there’s menus standing on the road.So, I think you never miss the shop. As soon as you enter the shop, there’s a ticket vending machine on the left. And about 6 counter seats over the machine. Also there’re tables and counter seats on the 2nd floor. Though 1F is narrow, 2F is bright and wider. 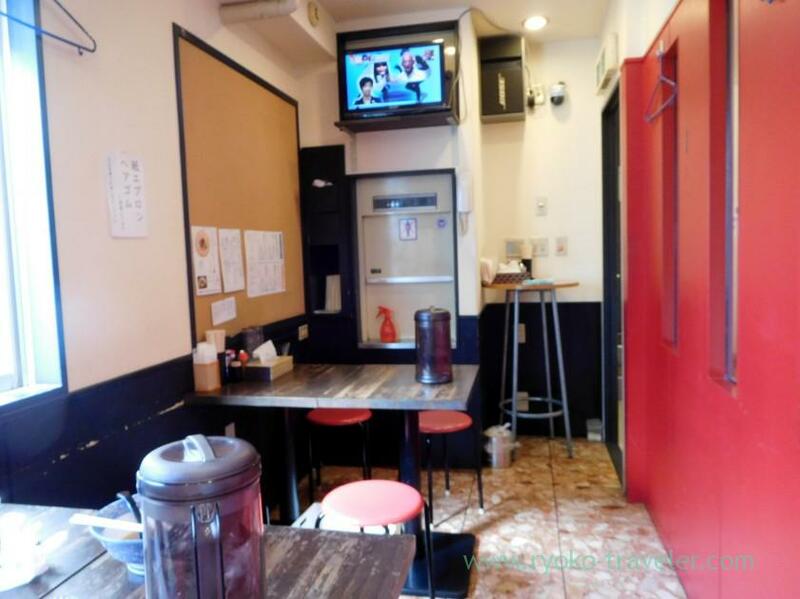 And also there’s a TV. 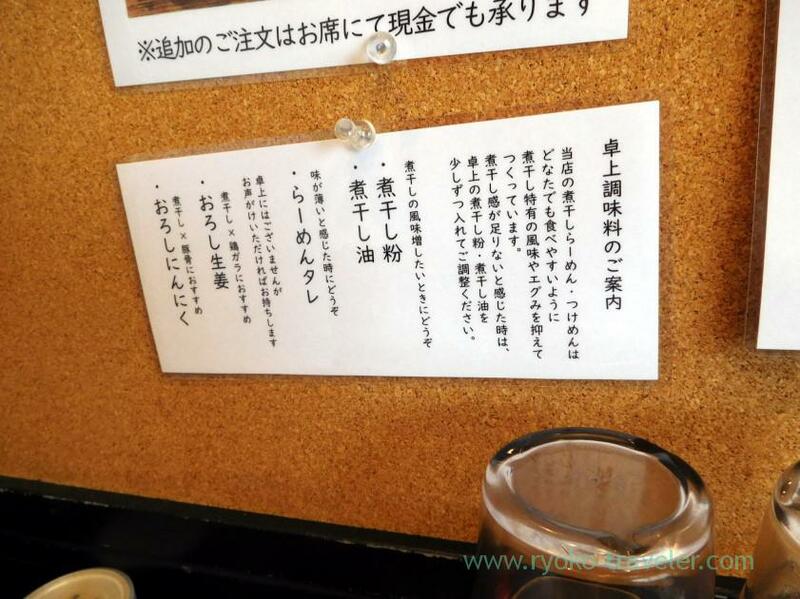 Their soup have dried sardine broth. And there’re two types of soup. Light soup having chicken broth (淡麗) and Thick soup having pork bone broth (濃厚). 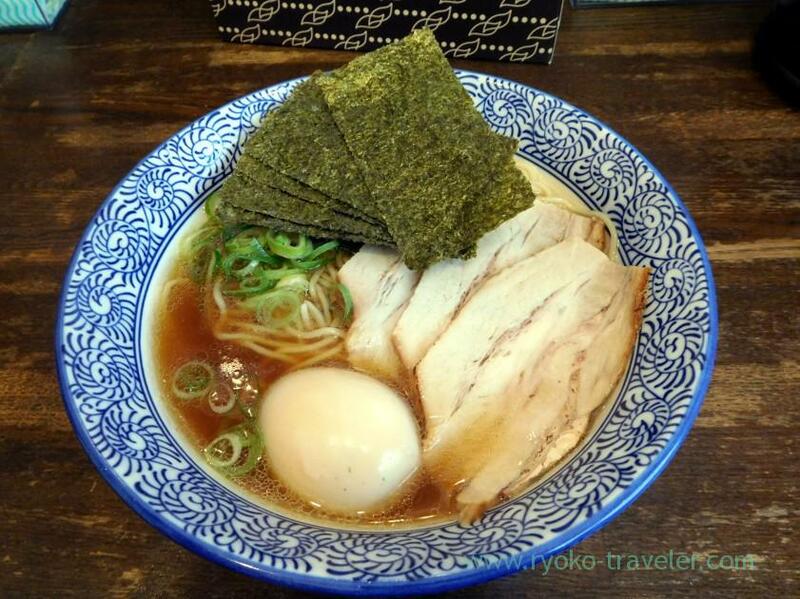 And each have ramen and tsukemen. 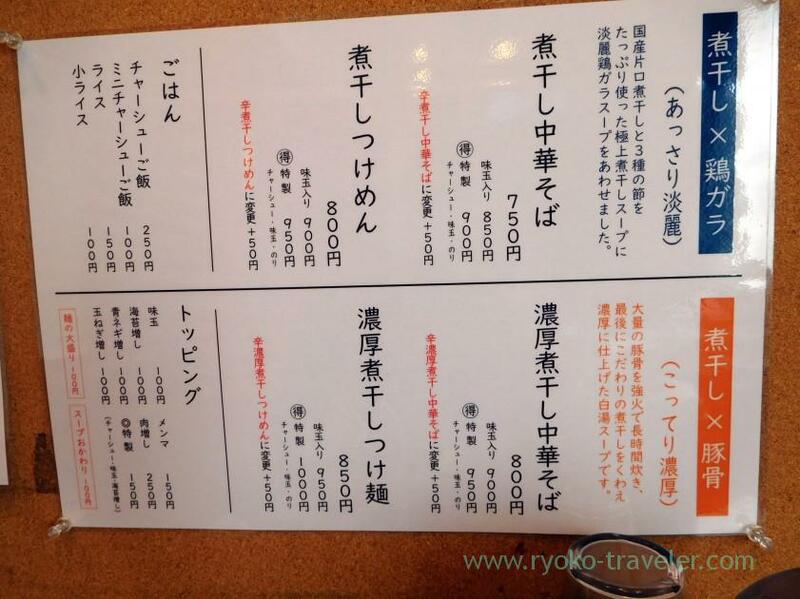 You can have spicy one with extra 50 yen. Light soup have Japanese dried sardine and three kinds of dried bonito. And chicken broth. 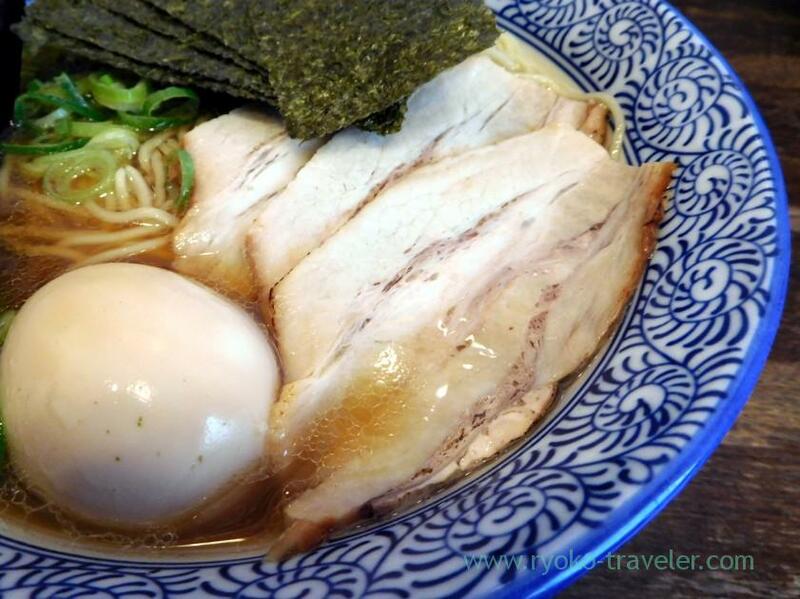 Thick soup have thick broth made of so much pork bone. They have such a small rice having roast pork. Small roast pork bowl (ミニチャーシュー丼, 100 yen). 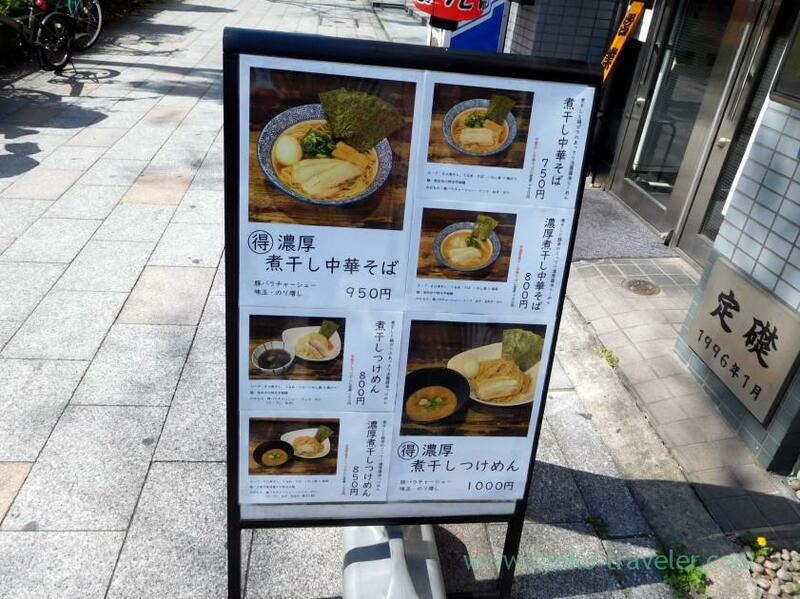 Basic dried sardine ramen (煮干し中華そば) is 750 yen. 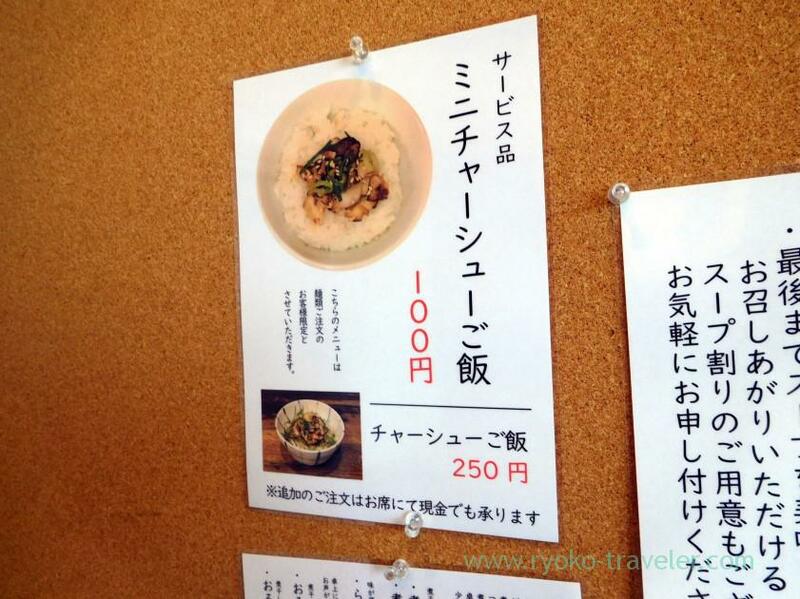 And Special dried sardine ramen having all toppings (特製煮干し中華そば) is 900 yen. So, I ordered Special one. I waited for a while on the 2nd floor and my ramen was served soon. 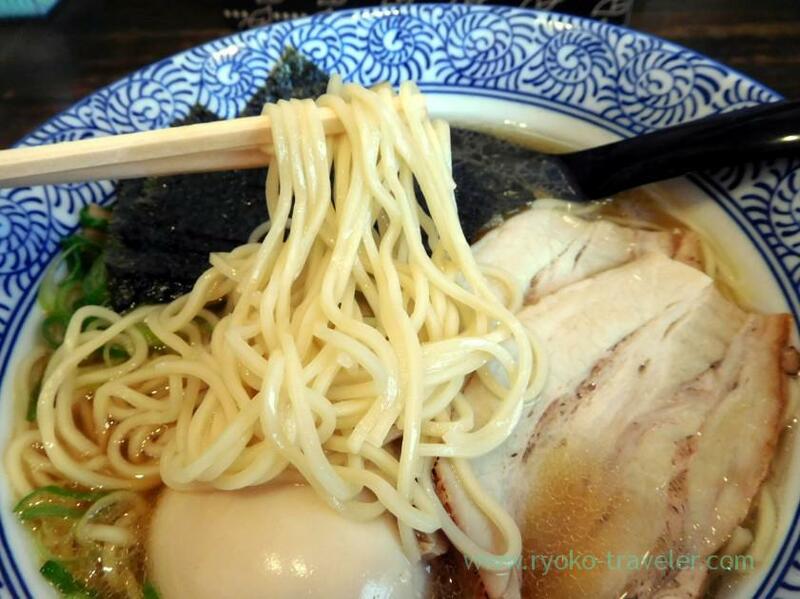 This is Special dried sardine ramen (特製煮干し中華そば, 900 yen). Those sliced roast pork was thin. Fatty roast pork was good. Half-boiled egg was good. But I want they use better laver because here’s Tsukiji ! The noodles are thin and smooth. I love dried sardine soup. And I love strong bitterness and flavor of sardine. But it don’t have much flavor of sardine. So, I think people who love sardine soup like me won’t be satisfied with it. But I also think all people can accept the tastes. It’s seasoned lightly, so it’s good for breakfast. Though they aren’t open in the morning.. 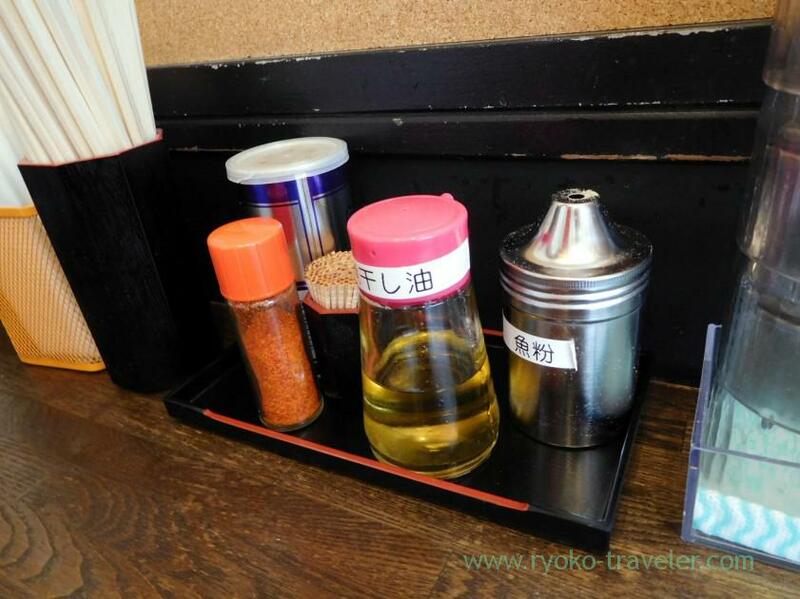 Though there’s not on the table, if you say to the staff, they serve grated garlic and grated onion without charge. Open / 11:30 a.m. – 0 a.m.